Compilation of articles and interviews of Fr. Artemy Vladimirov Warmly engaging pastoral talks. Fr. 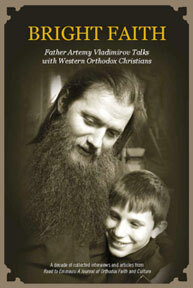 Artemy, author of Path to Confession and Bless, O Lord, is one of Russia's most beloved contemporary priests. Warmly engaging pastoral talks. Fr. Artemy, author of Path to Confession and Bless, O Lord, is one of Russia's most beloved contemporary priests. Here he shares a wealth of Orthodox Christian spirituality and common sense, through talks and interviews first published in Road to Emmaus Journal. Subjects range from practical guidance for new converts to a dialogue on the spirituality of teenagers, reflections on Russian history and literature, spiritual fatherhood, and the Jesus Prayer. The book includes many previously unpublished photographs.